The Single Door Large size is designed to protect the wider than standard house door as it is 20cm wider than the Medium. 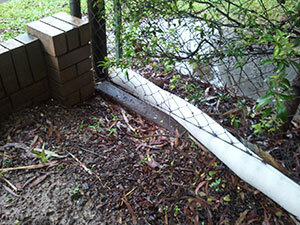 Preventing water from entering into your property or workplace is no longer impossible, difficult or messy thanks to this sandbag. Unlike traditional sandbags that are heavy, dirty and cannot be left for a long time, the Absorbeez Single Door Large Sandbag is light in weight, clean and it can protect your property for weeks or months. This is an innovative, new and fantastic sandbag product that should be accessible and available in every workplace and home. 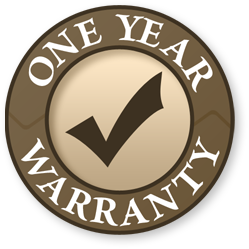 As all other Absorbeez products, this comes in an ideal size that allows you even to protect wider than standard house doors. It is 1,200 mm x 200 mm and it has a superb water absorbing power: 22 litres! 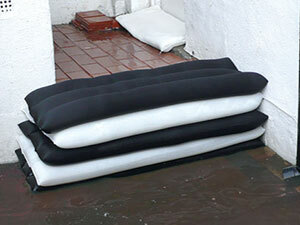 The Absorbeez Single Door Large Sandbag comes in a pack of 5 units. 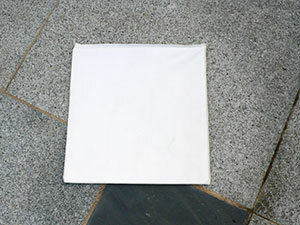 This bag is ideal for protection of your 1200mm wide doorway. 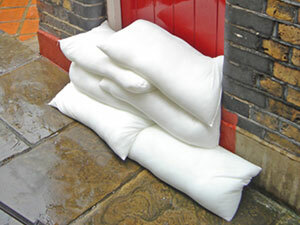 A stack of these bags provides a flood protection barrier that is less prone to leaking when compared to a wall of sandbags or a wall made from our Standard Sandless Sandbags. 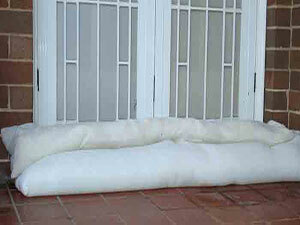 Absorbeez also carries a Double Door Large Sandbag, providing even more coverage! Do you have a need for a smaller sandless sandbag? 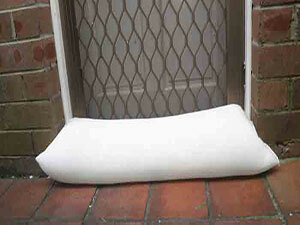 Try Absorbeez Strip Medium Sandless Sandbags. Absorbeez sand bags come in 10 different shapes and sizes to meet your requirements – from 30cm to 7.25 metres long.